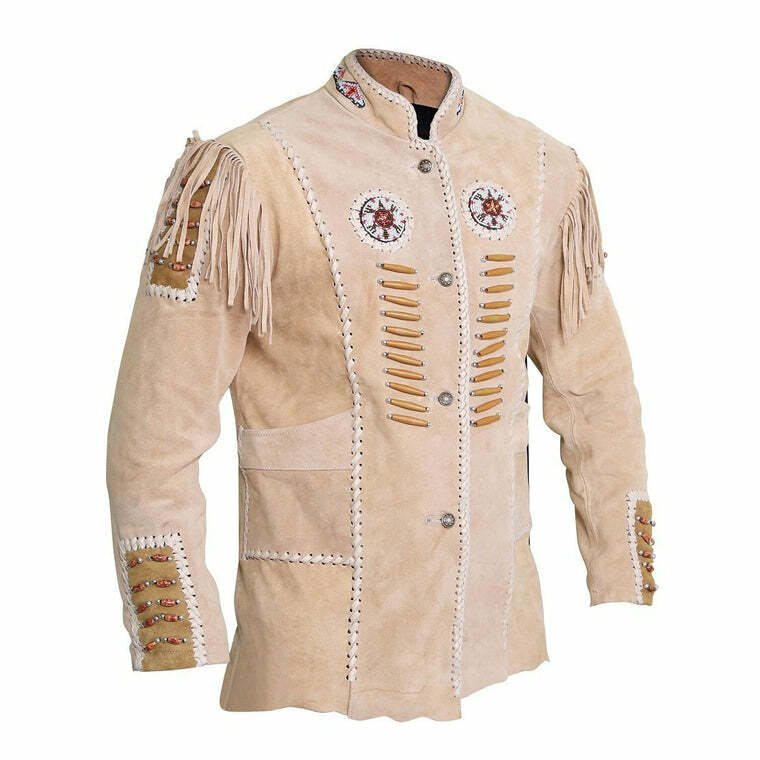 Bring out your inner cowboy. 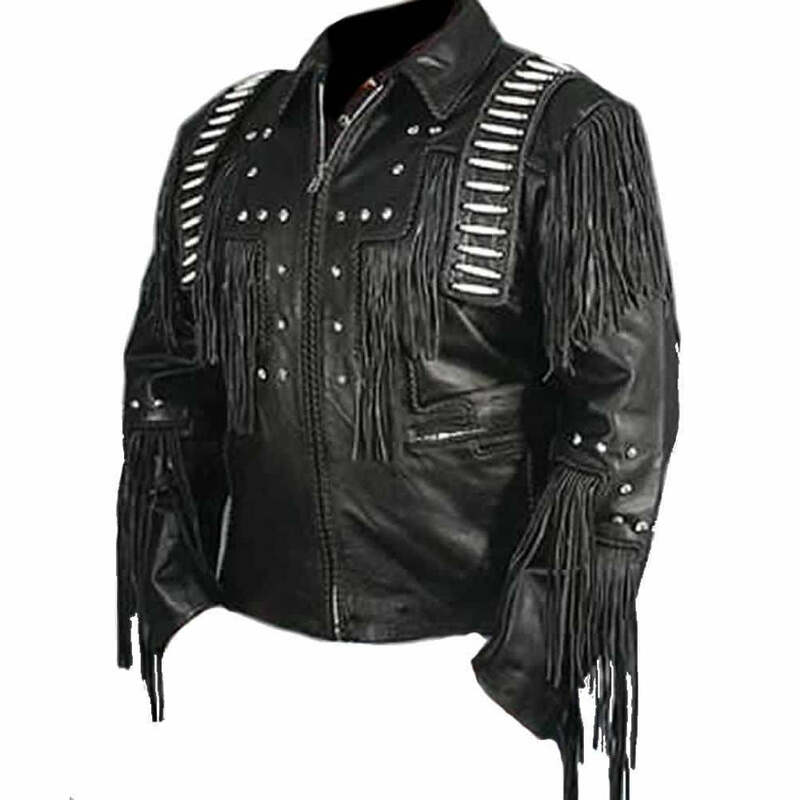 This black leather jacket with fringes on the front, back, shoulders, and sleeves add a unique but realistic cowboy appeal. The silver embellishments on the entire outerwear to create an attractive, masculine vibe. 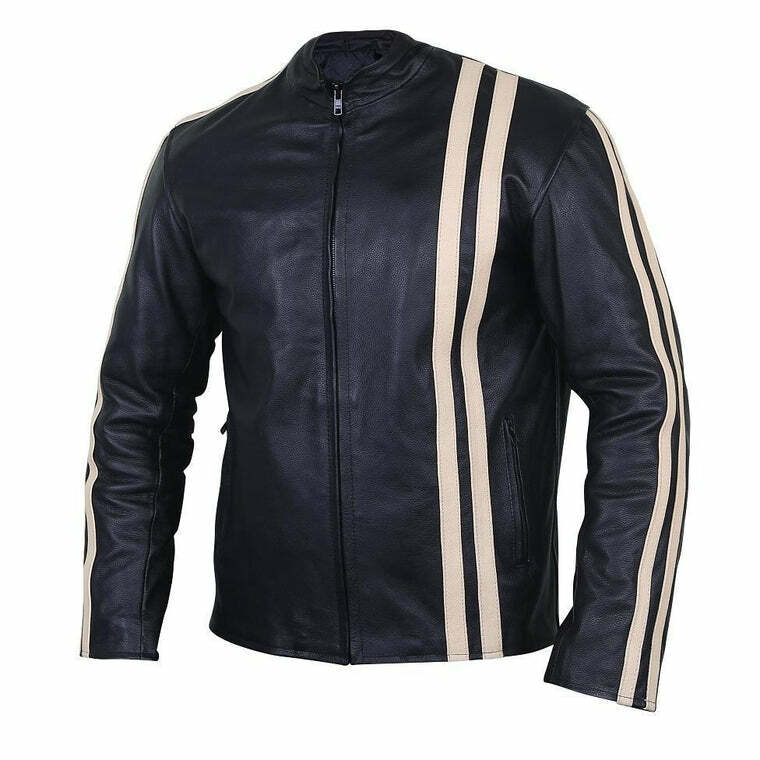 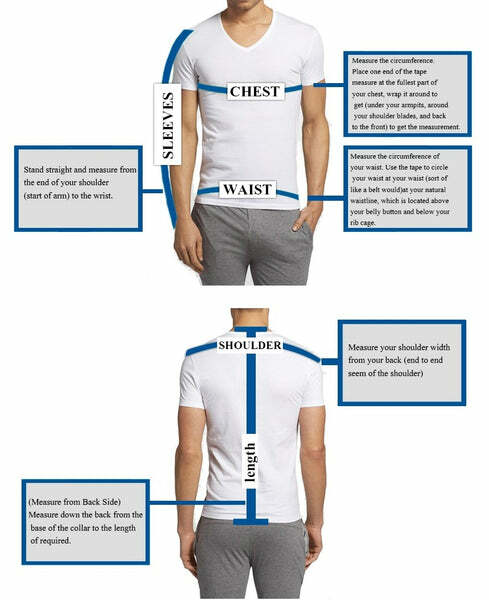 The sleeves are designed differently to make it stand out from other jackets. 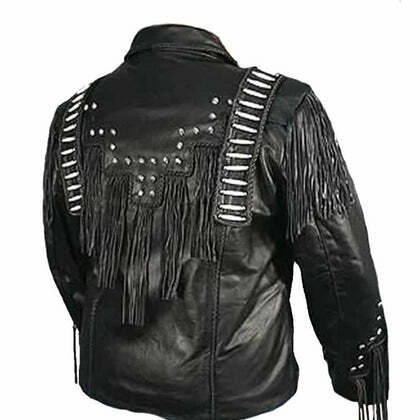 Silver-toned accents throughout the fringe enhance the vintage look. 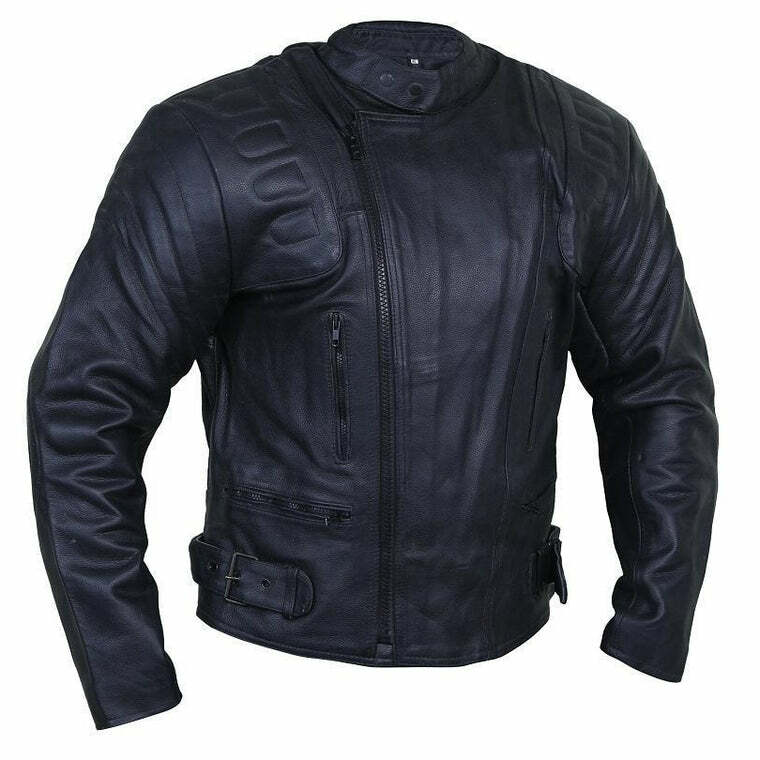 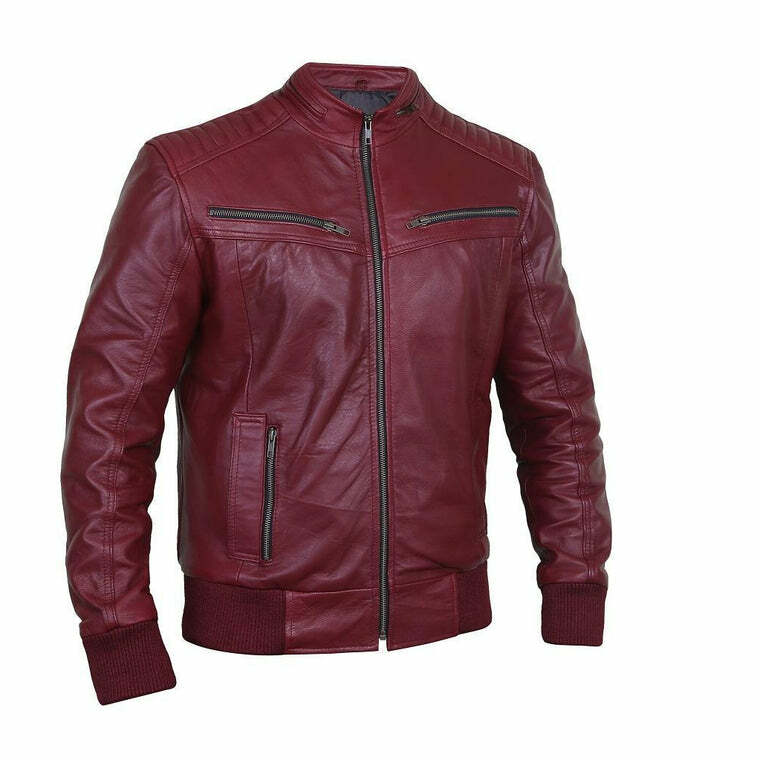 The material is guaranteed genuine leather, and a great deal on attention has been given to the stitching and detail.